Mid-Plains Industries’ laser cutting capabilities add another dimension to the services we provide. 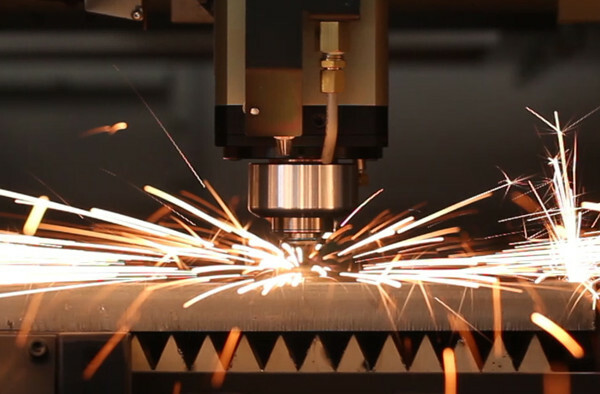 Laser cutting is the leader in shape profiling because of its speed and accuracy. Our Mazak 4000 watt laser center accepts sheet sizes up to 60” x 120” and is capable of cutting any thickness up to 1/2” stainless steel and carbon steel up to 1”. Small holes and etching do not require secondary operations, nor is edge cleanup needed in most cases. Our laser center features automated loading/unloading, which allows quick removal of finished parts. If you require parts that fit together with precision that result in easier and quicker assembly, our laser is for you. • High performance and a wide range of applications.